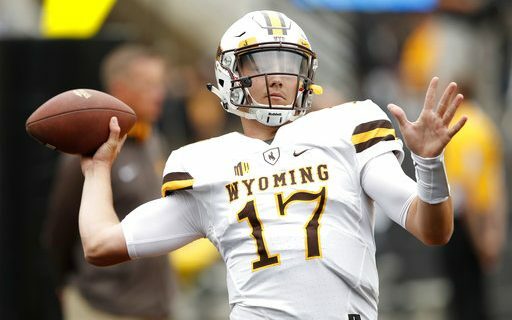 In continuing my series on the quarterback prospects in the 2018 NFL Draft, I will break down Josh Allen from Wyoming and Luke Falk from Washington State. Both are at the Senior Bowl this week. Size, arm strength, overall athleticism and speed. Can make plays with his feet. Flashes top skills. Streak thrower who can make all the required throws when he is on his game. Very overrated by media. Plays poorly when up against better competition (Nebraska – ’16, Iowa – ’17). Doesn’t handle or react to pressure well. Poor accuracy, has completed only 56% of his throws over the last two seasons in a weak defensive league. Ball placement is very average. Lacks instincts. Not a quick processor and can be slow to go through a progression. Production fell off in 2017 when he only threw 13 TD passes. Missed last two games of the year with a shoulder injury. Junior College transfer. Played one year at the JC level before transferring to Wyoming following the 2015 season. Has been a starter at Wyoming the last two years. Many Draft analysts had him as the top QB in the 2018 class going into the 2017 college season, which was way off. Has ideal size, arm strength and athleticism but it ends there. Will flash the ability to make the big throw but can’t do it with any consistency. Fact remains, there has never been a QB in recent memory with such a low completion percentage who has ever had success in the NFL. Will probably get drafted high because of his physical traits but the people who draft him are risking their careers. Is similar to other high hype QB’s during the Draft season that didn’t pan out. Some of those include Jake Locker, Blaine Gabbert and Kyle Boller. Has been a starter since late in his freshman year and has thrown for over 14,400 yards and 119 TD’s to only 39 interceptions. Good size and has a frame to carry 230+. Good mechanics, has a quick release and accurate. Good enough arm strength. Good accuracy and ball placement. Has shown he can read defenses and make good decisions. Good enough athlete. Narrow frame, needs to add some strength and bulk. Had three games in 2017 where he struggled. In Cal, Washington and Utah he threw 10 of his 13 interceptions. Plays best with a clean pocket. Not consistent with climbing the pocket and stepping into his throw. When his feet are off, his accuracy is off. While he can move around in the pocket, he is not a real threat to extend plays or run. Not play from under center. Fifth year senior and a very productive three and a half year starter. Smart kid with good leadership skills. There are games when he looks very good and could potentially be a top draft pick then there are others where he looks more like a late pick. 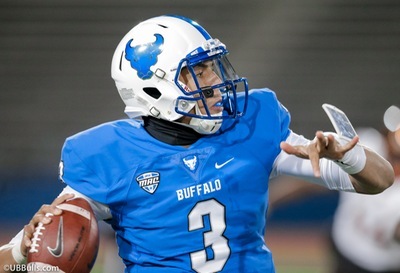 Has the smarts, talent and passing skills to become an eventual starter in the NFL. Needs to work on being more patient in the pocket, step up and make the play. Not great versus pressure and needs to improve. Because of the offense he plays in he will need some developmental time but he has some nice traits. Mid round pick with upside. Click here to read Greg’s scouting reports on QB’s Baker Mayfield & Mason Rudolph.